This elegant blouse is made in medieval style. 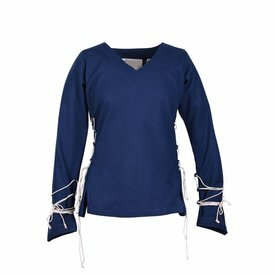 In combination with a skirt and possibly a bodice you can use this blouse to create a beautiful medieval outfit for festivals, re-enactment, Cosplay and Larp. You can also wear it over a dress with short sleeves. 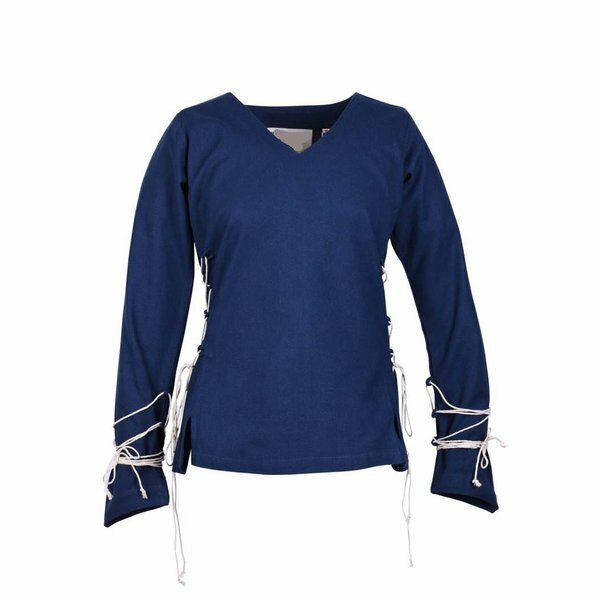 This cotton blouse gets its tight fit with lacing in the waist and the sleeves that you can adjust as you wish. The sleeves are pointed and look very elegant. The side has splits for more wearing comfort.